A land of many facets. Rich in cultural, culinary and musical heritage, top ranking in wine productivity, ultra wealthy, unique vinification methods and home to an abundance of indigenous grape varieties. Known for many things it’s imperative to know why and what. Much of its economic prosperity was attributed to the Venetian trade routes that connected Europe to Asia creating a multitude of opportunities for merchants. Purveying exotic goods from abroad led the region to become one of Italy’s pioneers in industrialization. This applied to wine cultivation in the lower plains that make up a significant portion of their output. Despite the quantity driven focus its land also encompasses the opposite. Diverse natural beauty at varying elevations with well drained rocky and volcanic vineyard areas. From the arctic cold Dolomites down to the mild Adriatic coast and the gentle shores of Lake Garda the Veneto contains all temperatures of Europe. Commonly divided into four areas there is the northern Alpine zone, the hill zone, the lower plain and coastal territory. Each of which contributes to the uniqueness of its respective DOC & DOCG’s. 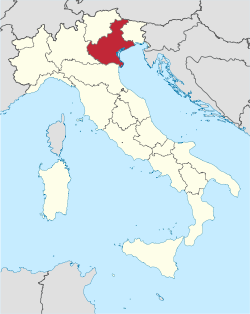 Within each these areas you’ll find varying wine styles from lively single vineyard bubbles within the Prosecco Superiore district to the bold and concentrated appasimento wines of Amarone della Valpolicella. The in between includes the fresh and easy styles Soave, Bardolino & Valpolicella.